You made me appreciate, love and listen to music. It's not always easy in life. But listening to your tracks helped me get through it. Inspired by your music I have made a big decision in my life. Go big or go home. I want to qualify for the next winter olympics (I'll be 19 then). And if I do ever achieve anything great in my life, I'll do everything to pass your legacy. One day you'll leave this world behind so live a life you will remember. You were the biggest inspiration in my life Tim. Thank you! We love you! Come Back! Tack för att du visa vägen genom din musik! Right now I am on youtube looking at how to produce good house music and I saw one of your videos of how you made Dancing In My Head and I just noticed how talented and amazing you were. I really wish you were still here Tim. Your music was such a blessing to all of us. RIP. Inspired me to live life and not care what others say. One of the best to ever do it. Tim the genius that produces music. Thank for your legacy. Your music is my inspiration. You had the biggest impact on my life, thank you! A person that will live on forever<3 Thank you for everything. Avicci was the most inspirational producer of all time. He is the very reason why I make music and continue to do so. I loved the man on the set as much as a person he was to his fans outside the set. I miss him very much and hope to meet him on the otherside some day. Wake me up when it's all over. We are missing you! God please rewind the moments! "One day you'll leave this world behind so live a life you will remember." You will remember your life because the world does. First track I heard that Avicii made was the Ryu remix by Laidback Luke. Then soon after your remix of New New New came out. I was impressed and really wanted to know who this young Swedish producer was.. Ever since been a great fan of yours. I saw your documentary when you were still alive, it had a huge impact. Really hoped you would find rest and enjoy life again.. You'll be missed as a person and as an artist as you were the Mozart of this era. I woke up today listening to your music. We will not have new songs made by you, but we have all the gifts you left us. I was very happy to access your page and be able to say what I feel. We all miss you !! As the days go by I am starting to miss you more. once i got to shake his hand and i huged him instead and he pushed me away. so i tickeled him and he left. We need you Tim, come back. Thank You Tim. We Love You And Miss You. His music was, and still is a big part of my life. Avicii is one of the first artists I truly, fully enjoyed listening to, and he is the one that got me into house and dance music. His music got me through some bad times, and made me who I am today. Every time I hear a song by avicii, I am overcome with emotion and memories of good times, and I hope this can continue well into the future. I would like to pay my respects, and thank tum for all his music has done for Me. He will be missed. Your music, to this day, makes me smile, relax, and remember that life is meant for living. The days and nights, I can fill them with love. Dear Tim, I am going to live the energy of your music every day as a manifesto of the beautiful intentions behind the music and lyrics you created. I'm sorry you had suffered so much during your time here. I too was born in 1989 and am currently on medication for depression. Getting help has been amazing. I wish you could of done the same. Rest well Avicci. I remember when I was younger and we had annual school trips in Sweden, and I started to bring my speaker on the bus. 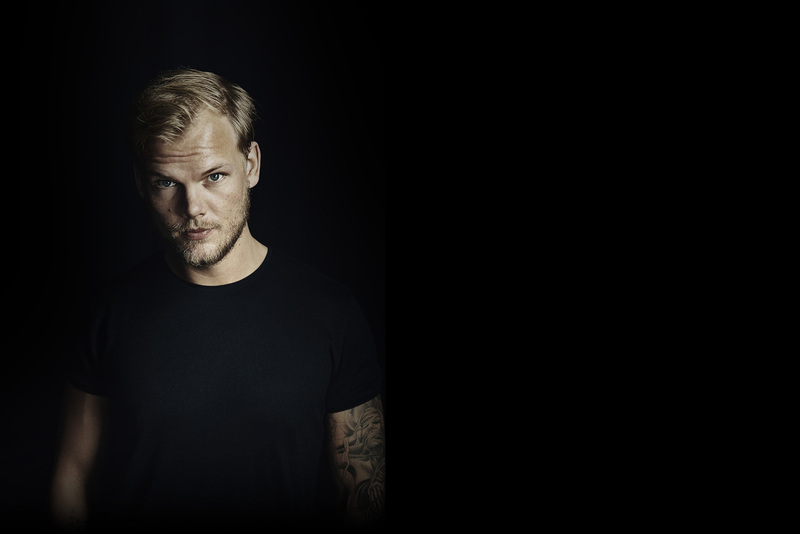 And all we played was Avicii, and even if you didn't listen to him, you knew every word to his songs. He truly was and still is Swedens pride. "The nights" e a musica que mais me marcou, pois e exatamente dessa forma que penso e ajo em minha vida! Avicci ficara pra sempre em nossas memorias e em nossas playlists... Descanse em paz, e obrigado por tudo! These are the days we won't regret. These are the days we won't forget. 🕊Das schönste Denkmal, das ein Mensch bekommen kann, steht im Herzen der Mitmenschen. Danke für deine tolle Musik mit der du noch immer so viele Menschen glücklich machst. I just watched Aviciis/Tims documentary and I'm speechless. I always listened to his music and loved it, just like everyone else did and still does but I surly did not know what kind of person he was. How thoughtful, genuine, hardworking, and not to forget how extremely talented he was. He was, what I would call, a child of prodigy and he will be living on in all our hearts. So much love for him. You were and always will be my inspiration. when i get famous and play at a big event i will play your songs in honor of you. Siempre la misma mierda. siempre el mismo dolor. siempre el mismo hundimiento. todo sin ti Tim. No sabes lo muchisimo que te hecho de menos, no lo sabes tu bien. ojalá haber sido yo en vez de haber sido tú. Te necesito de vuelta en mi vida. Soy un barco a la deriva, sin un rumbo fijo al que ir. No puedo evitar llorar por ti todos los días, es como si me estuviesen agarrando del cuello y dejandome sin respiracion. Dulce Tim. la vida es una mierda sin ti, sin tu musica, sin tu voz, sin ti. Tim, you are alive while your memory is alive. You're forever in our hearts. Avicii mag tragischer Weise von uns gegangen sein, doch seine Musik wird für immer in uns weiterleben. Möge er in Frieden ruhen. Best dj of all times! The sound was so great and unique! Was always excited when you realesed something new! Thats kinde of rare for me! Really sorry for all the preasure you must been trough! Will always love you bro, you are my favorite musician on this planet .The best dj we got . Will always miss you . Really upset that you left us so soon. Hope you found what you want . You leave us one of the most important lessons in life: live a life you will remember... Just a few people have the gift of scaring people for life, and you had it, you have left a mark in a whole generation. Thank you for sharing your music, thank you for all you have done for us. Thank you for giving us the joy and the happiness! You were, are and will be one of the best DJ ever, and this nobody will be able to take it from you. You’ll never disappear completely, everyone will remember you for what you’ve left us, and this will be your legacy. Even if only occasionally one of your songs crosses in a playlist or it sounds when you're in a disco or festival, in one way or another you are still part of our lives. You are and you always have been one of those artists that i'm playing, like a loooot on my phone. You remember a big time of my childhood, ever since Le7els.. You're a genius. Master. The lyrics in every song of yours has changed forever since you left this world. A sad story, but you'll always be remembered in the whole world Tim. Remembered by many people as one of the best (if not the best? ;D) producers in the world. Possitive vibes, happy beats. You're a hero mate. Rest in peace, Lord.